The 45-year-old, who lost both legs and almost his life in a motor racing crash at the Lausitzring course in Germany in 2001, became a global sensation at London 2012 after winning gold in the men's individual time trial and road race H4 at Brands Hatch as well as a silver the mixed team relay H1-4. The sensational performance came 21 years after Zanardi raced at the track as a Formula One driver. The Italian was also voted the IPC's Male Athlete of the Month for August/September for his performance and he admitted he is still in shock at his London 2012 performance. 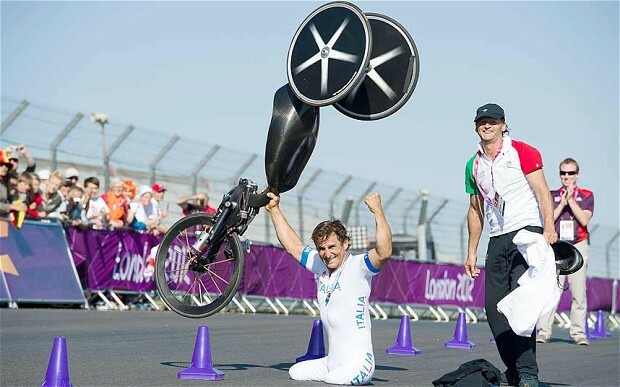 "I didn't believe it," said Zanardi. "I was fighting for silver because I thought Carol-Eduard Novak was in better shape. "We can't have radios so I didn't have any information through the race. "I just clocked my time and waited and now I'm just surprised. "I worked very hard to get here. "It was great to live such an experience at 45 years old." 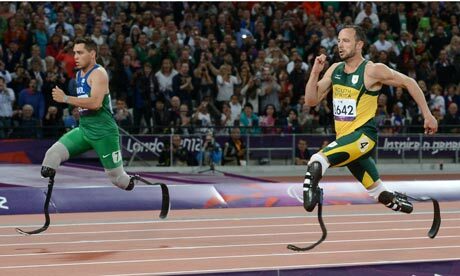 In second place on the IPC's top 50 Paralympic Moments of 2012 was Alan Oliveria of Brazil securing a shock victory over Oscar Pistorius of South Africa in the 200m T44 final while Spanish swimmer Teresa Perales giving her Paralympic gold to her two-year-old son was third. The moments were selected by nominations from National Paralympic Committees and International Federations and were based on sport performance, emotional moments, media attraction and athletes; personal stories. "The year 2012 will go down as one of the greatest ever for the Paralympic Movement," said IPC President Sir Philip Craven. "The London 2012 Paralympic Games produced thousands of moments that captured billions of viewers' attention and put sport for persons with an impairment into the mainstream media." The London 2012 Paralympics featured 4,237 athletes across 20 sports with 75 of the 164 countries competing taking home medals. A record 2.7 million tickets were sold for the Games, which were broadcast to more than 100 countries and territories, with the Channel 4 screening over 500 hours of live coverage that achieved record audiences. Research proved that the Games had a significant impact on British society, revealing that one in three adults in the UK changed their attitude towards people with an impairment and 81 per cent of British adults thought the Paralympics had a positive impact on the way people with an impairment are viewed by the public. The growth of the Paralympic Games was also secured with the renewal of the IPC-IOC Co-operation Agreement, meaning the Olympics and Paralympics will be held in the same city through until at least 2020.